50um core, 0.22NA, multimode fiber coupler and fiber specifically for our laboratory (CW, Pulsed, Low Noise, SLM) laser systems. 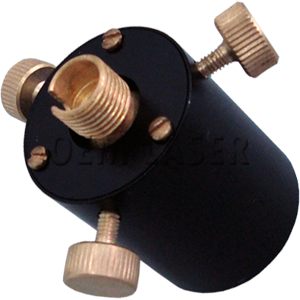 These couplers utilize the standard FC/PC fiber connector and thread onto the aperture barrel of your DPSS or diode laser system. Includes one meter of fiber. The aspheric lens is anti-reflection coated for the wavelength of the laser. Images and specifications are subject to change. We make every effort to insure the images displayed are accurate but technical specifications do change over time due to design improvement. Images of systems may not necessarily represent an exact reproduction of the actual laser head or driver. Images used are stock photography.